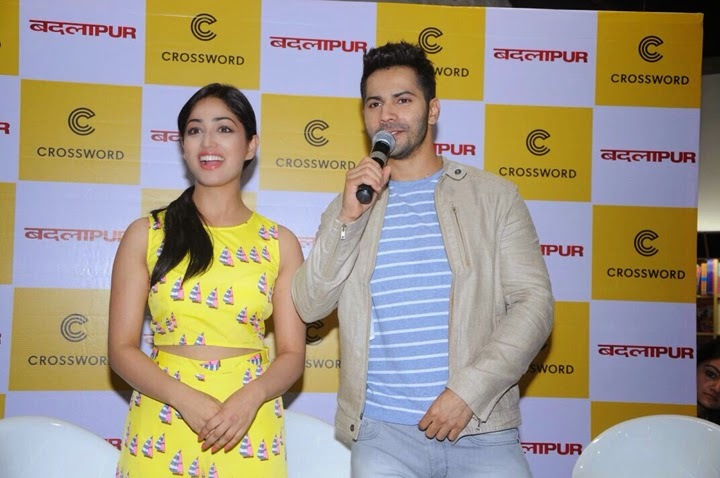 Bollywood actor Varun Dhawan and the star cast of upcoming crime thriller Badlapur launched Benguluru’s biggest Crossword bookstore as part of their promotional tour in the city. They enthralled the fans and shared some interesting on shoot experiences with them. This is the 97th crossword store in India located at Mantri mall and is currently the biggest store with a 7000sq ft area dedicated to books. Crossword Bookstores Ltd. is a wholly owned subsidiary Company of Shopper's Stop Ltd - India's leading department store chain with 97 stores, across 30 cities in India and as on today is India's fastest growing chain of bookstores. At Crossword we aim to be a point of cultural and social interaction where authors and poets hold court, where children are regaled, where people gravitate to be informed, to be entertained, even enlightened. Crossword vision is to build community centers for readers across the Country.